Day 752: We Love Conductive Education! 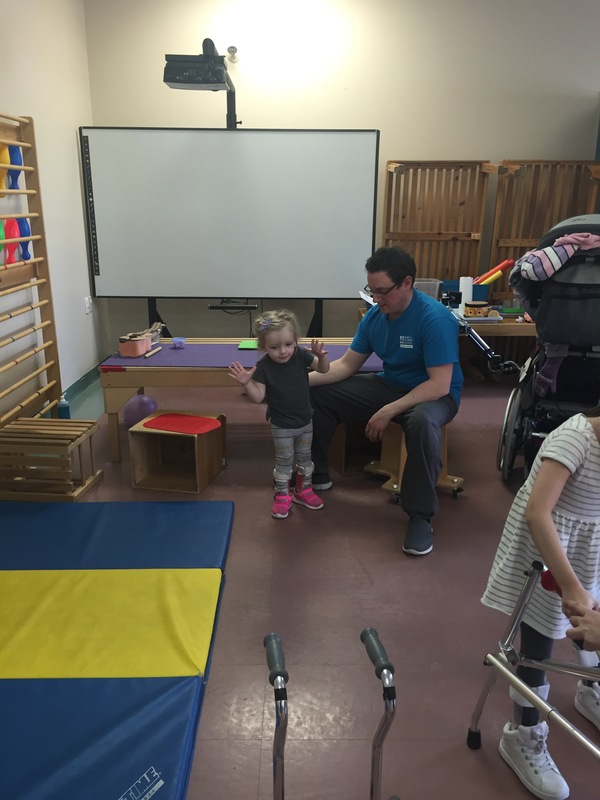 Mommy peeked into the end of class at Conductive Education today to see Madison sitting tall at the table and sharing her learning about different musical instruments. She was able to listen to an example of an instrument on the iPad and then tell Monika what instrument was making that sound. They then played different instruments as a small band. 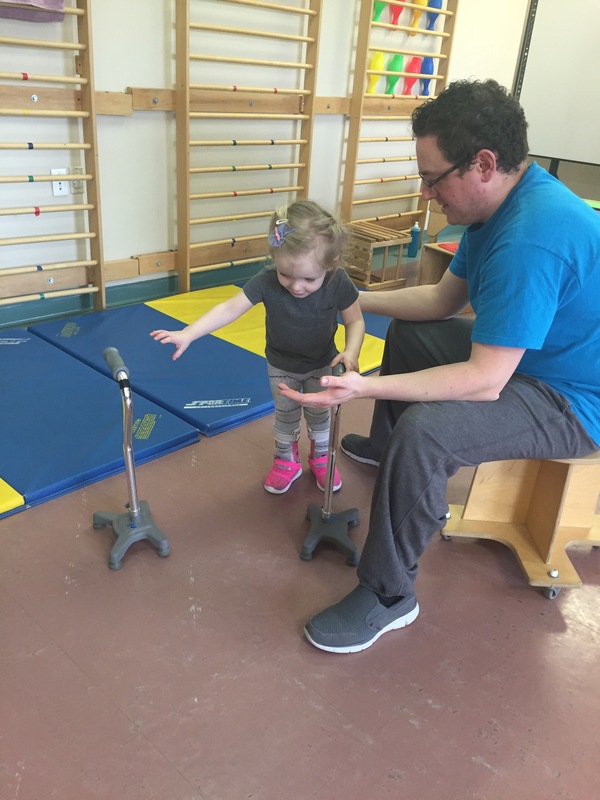 We love all the learning that is incorporated into the movement therapy they do with her. She then got herself off the bench she was sitting on and did some walking, followed by walking with her canes, followed by transitioning to her walker. Madison was excited to go to Daddy’s police station where he works as an Auxillary Officer. 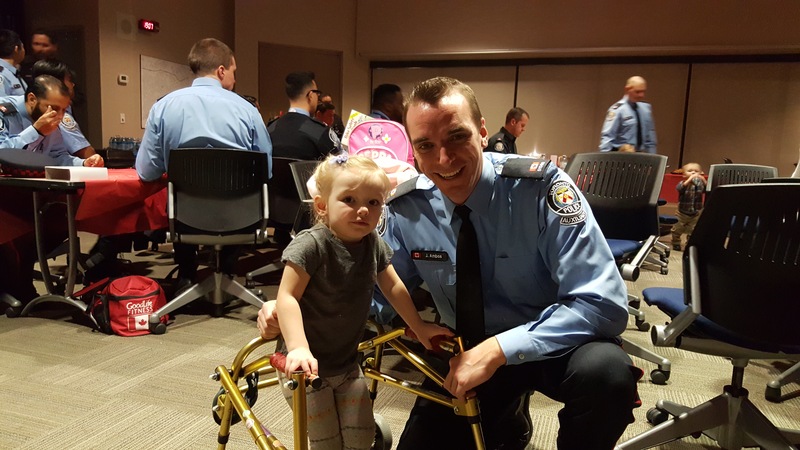 They attended an appreciation night with family attending. 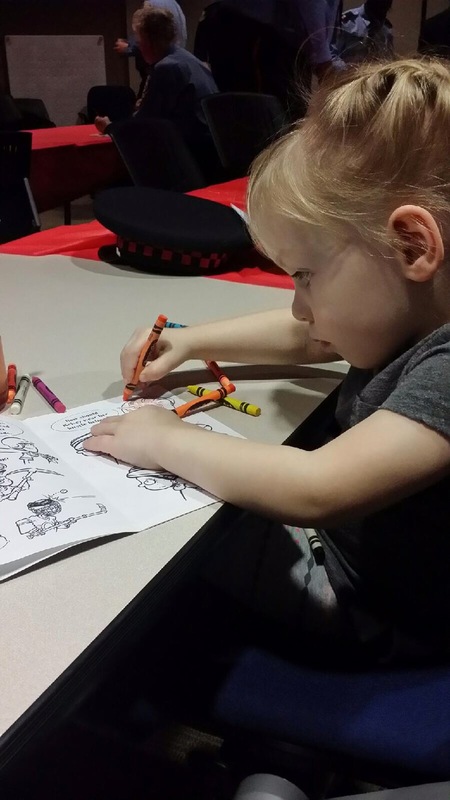 Madison did some colouring and loved checking everything out with Daddy.